Cecilia Fischer - Nopolo News​ ​"​Events & More"
​Via a the Loreto Guide Association: https://bit.ly/2VjxFpo and its President Rodolfo Palacios Castro and the representative of 10 ranch collective Ricardo Salome Fuerte Dominguez in Loreto, and with help of Mary Kay Kerbel and Bob Bailey we are inviting anyone interested in hiking in the Sierra La Giganta, and getting to know who the owners of the different trails are, to come to a hike! We shall meet at 9am next March 6th Wed on the south exit of Nopolo. The location of the hike will probably be within the proposed Nopolo Park which is begginers hike. The distance to the trail from Nopolo is only 3 miles by car. We car pool. Any car can enter - also compact. We are not going far. I have 2 cars so if you need a ride please let me know via Cecilia_fischer@yahoo.com.mx or by inbox. This is a great opportunity to make direct contact with people doing amazing things for the Sierra and thus for the places we all love. You can get some questions answered about ownership of land, who are the specific owners of certain trails, and perhaps find some great hiking folks. We will talk about the local flora, flora and medicinal plants of the area. But the primary purpose of the hike is to meet our neighbors in the Sierra - start a relationship while hiking. At the end, Ricardo Salome Fuerte Dominguez would like you to meet his new upcoming restaurant/store of ranchero goods located next to highway. We should be done by 11.30am. The Sierra La Giganta is a diverse wondrous place to explore and I find it has more value after you meet the stewards of it. Hope to see you there! Saludos! Would you like to start the new year by planting life with the ranchers of the Sierra La Giganta and in the same watershed of Nopolo? 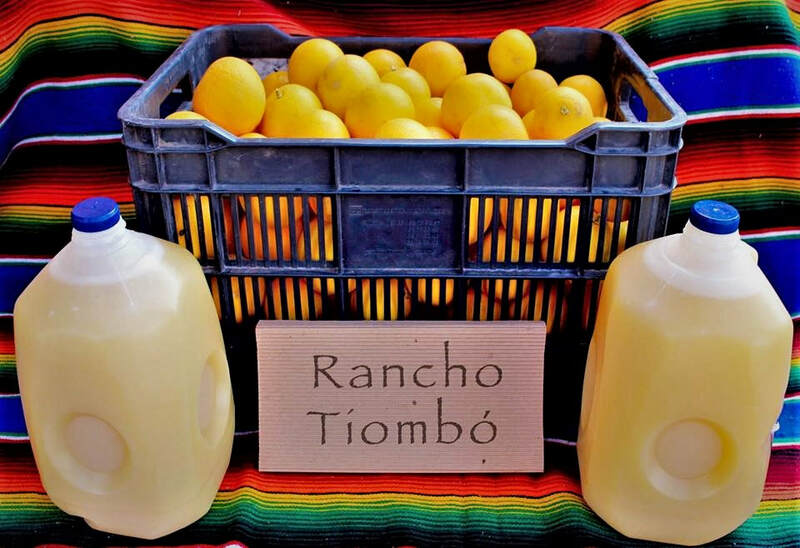 Rancho Tiombo invites you to help plant Jamaica tea plant, squash, tomatoes and some chiles. In exchange you will be given breakfast (rancho coffee, rancho eggs, tortillas, low salt goat cheese and fresh cut oranges and orange juice). Some of you helped in this task two months ago planting 220 papaya trees. Thank you Anne Fletcher Elaine Harvey and family and many others. Rancho Tiombo is an important neighbor to Nopolo and Loreto Bay development because its at the top of the same watershed as Nopolo. Together as neighbors of the same watershed we look after the most important resource in our area, water. Replanting edibles is an important part of the ecosystems of our the Sierra in order to keep water alive. Finally, according to owner Ricardo Salome Fuerte Dominguez, the original passage to San Javier was through the mountains of Tiombo. See the map showing San Javier just through the back - west of peak Tiombo. Helping to keep Tiombo is an important part of the heritage of Loreto. Also, you can purchase sweet delicious limas from Ricardo too. Dec.8 post · I had asked questions about what is happening with the Loreto Bay Village Voice and Loreto & Loreto Bay Ads, here is the answer from the past administrators. I will proceed to delete to publication where I asked about it on this Facebook wall. Any further questions please ask Maryanne Austin . "Regarding both Loreto Bay Village Voice and Loreto & Loreto Bay Ads being archived. Thank you for the years of support and those particular comments and messages that have been accurate, respectful and positive. We spent months working on solutions to ongoing issues, seeking new admin and then training potential admins and thereafter a new admin which quickly went south. As a result, we have decided the best course of action is to archive the sites as the time has come to not be further involved in the administration or training of someone new nor having an unending timeline as to handling inevitable issues or seeing the site we worked so hard on failing. This has not been a 'quick' or 'light' decision. Opening a Facebook group is very easy and anyone can do this to support the community. We appreciate everyone's comments and suggestions but after WE started the site six years ago, it's simply time for a new name, a new group. There is a new group with a different but similar name currently being formed and we wish them the best of luck." After Christmas Hike: Next Wed, 26th Dec 2018 going to a peak in southern limit of Nopolo reserve. Meeting place is south exit of Nopolo (by golf course). Terrain: flat in the beginning (clay floor) and then a steep incline on a trail (some rock and clay) to view the Sierra La Giganta and the Bahia de Nopolo (Nopolo beach). You will be able to see the Nopolo development and beach all together. We have not gone on this hike before and its not on the hiking book of Loreto. 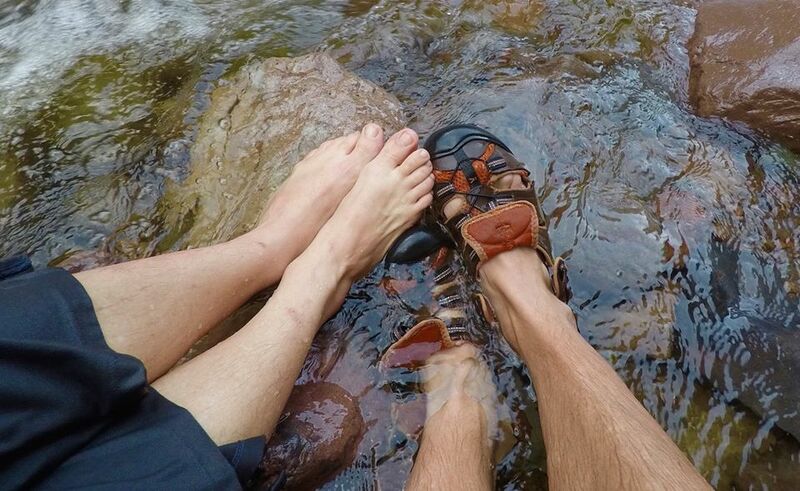 Bring good tenis shoes, or shoes with good tread or hiking shoes. Don't forget Water and a hat. The hike is about 3 kilometers round trip. To get to hiking area we may use cars for 2 miles or decide we can walk from the meeting place (south exit of Nopolo) Car can be a compact car. If you need a ride, just let me know via Cecilia_fischer@yahoo.com.mx or by private message. I have twelve kilos over weight due to Eriks wonderful cooking! So Im going! 7.30am departure time, return by 9am. Hope to see you there! Remember all these hikes are for free and anyone con come. We go to learn about the flora, fauna and have fun! You just need to let me know you are interested in going. Feliz Navidad! Rodolfo Palacios Castro te animas? Visual Storyteller · 1 hrNext friday 28th Dec at 3pm at Loreto Bay Community Center (located in Nopolo) I will give an Environmental News presentation for the Keep Loreto Magical program of The Ocean Foundation Mark Spalding. The meeting will have updates and news on "Parque Natural Nopolo", heavy metals testing study finished for the Municipality of Loreto (see attachment pictures of introductory page and map of location of samples). 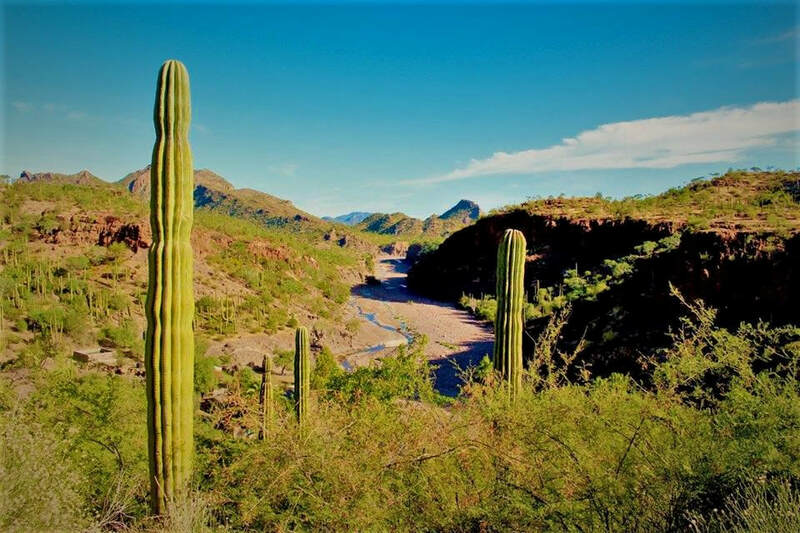 Also upcoming workshops in 2019 for sand dune restoration on the coastline of Loreto and for learning about diseases that affect cardon cactus. We have done studies of water within two popular canyons of the Sierra La Giganta given concerns of harmful of organisms. We have supported three upcoming veggie farmers, and have advance on the cycling route from Nopolo to Loreto. Finally, a small report on how are we closing the year on protecting the peninsula of Baja California and the Sierra La Giganta from open pit mining. Please let me know you are interested in assisting to Cecilia_fischer@yahoo.com.mx or by private message as I will have handouts of studies, and delicious delights from Erik. I apologies I was absent of the hiking scene the last two weeks - I was assisting friends dealing with burglaries and other spontaneous stuff. By the way, out dear friend Ricardo Salome Fuerte Dominguez is getting married today - hard working man that is transforming our Sierra La Giganta community. I hope you get to meet him and know him more. Mariana Malbicho por si te interesa. Please also know that thanks to Lilisita Lucero Orozco and the amazing group of volunteers of "Frente Comun por la Defensa de Loreto AC" work continues to protect our fresh water. Conversation Starter · 12 hrs Next Tuesday 11th Dec, Rancho Tiombo invites you to enjoy its ranch to help do replanting of edible plants. In exchange you will be given breakfast (rancho coffee, rancho eggs, tortillas, low salt goat cheese and fresh cut oranges and orange juice). There are more than 100 small plants, everything from chiles, tomato, Jamaica and papaya. Some of you helped in this task last year planting olive trees and other fruit trees. Gracias Mary ScribnerAnne Fletcher, and so many others. Rancho Tiombo is an important neighbor to Nopolo and Loreto Bay development because its at the top of the same watershed as Nopolo. Together as neighbors of the same watershed we look after the most important resource in our area, water. Replanting edibles is an important part of the ecosystems of our the Sierra in order to keep water alive . Also, according to owner Ricardo Salome Fuerte Dominguez, the original passage to San Javier was through the mountains of Tiombo. See the map showing San Javier just through the back - west of peak Tiombo. So helping to keep Tiombo is an important part of the heritage of Loreto. We will take the time to learn of the native local edibles of Tiombo: cordoncillo herb, tomatillo green, and wild grape vines. You can purchase oranges and sweet delicious limas from Ricardo too. Logistics: The soil is prepared and ready to receive the seedlings. If you have a small shovel, please bring it. The terrain is flat and we will be planting on the lower terrace - there are 3 terrance at Tiombo with beautiful views. We leave at 7.30am from south exit of Nopolo and if you are coming from down town Loreto, we meet at 7.45am from power station next to propane station on highway. We will probably return around 11am. If you must return by 11am, we can have a designated car give you a ride back. From highway to ranch its 10kms (at least 4km are difficult but doable for low clearance vehicles). We car pool. I have 2 cars, if you need a ride, please do let me know. We give an optional donation of $100 pesos per person to rancher which is put into road which we all use when we are exploring around his ranch. Please let me know if you want to go via Cecilia_fischer@yahoo.com.mx or by private message or 612 153 3752 cell Best to not overuse this publication. 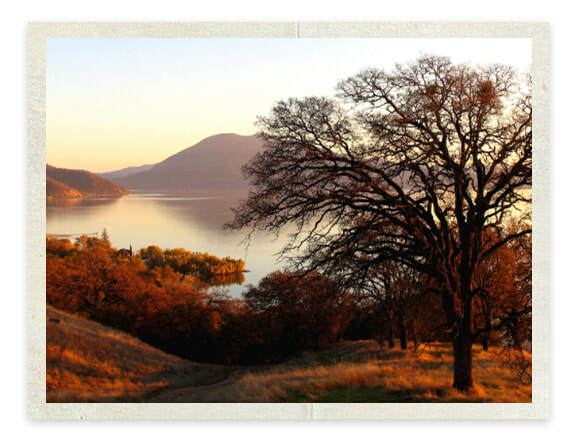 Thank you for caring for our shared environment and watershed - in 3 years we have come very far. Jill Clark Jackson was remembering you today. Once upon time (prior to 1975), the majority of Nopolo was an estuary filled with mangroves (salt tolerant species). Although many things have changed, important parts of the ecosystem are still intact. I have been asked to share the benefits of our mangroves (which serves as a nursery for fish and other marine wild life) and the different native species surrounding the development. There is also interesting information to learn about the original settlers of this area. Loreto Bay Company did do an archeological dig and learned interesting information (we will visit said site). Join me next Wed 28th Nov 9am on bike ride from the estuary to the old hotel and surrounding non development lots to learn about this lovely habitat. We meet at corner of the Wine Bar of Loreto Bay in Nopolo at 9am. We should end around 10.30am. If you don't have a bike, I can try to borrow one for you. Please tell me in advance. This tour is free. On Thursday 29th Nov at 9am we will dedicate to only talk about the Bay of Nopolo, the sand dune, medicinal and edible plant species found close to the marine edge and the work done by several volunteers to restore this habitat. Notice the sand dune continues for 3 kms north! We should end our walking tour at 11am. Please meet at the El Corazon Cafe with a hat at 9am. Please advise you are joining us at Cecilia_fischer@yahoo.com.mx or private message. Best to not overuse this publication. Thank you for all the requests to do hikes. I absolutely love being immersed in nature. This tour is free. Also, Im looking for volunteers drivers for a hike Im doing with locals on 1st Dec Saturday. I need 4 drivers with their cars (any car can go) for car pooling. Departure is early 6am (I promise I will get you a powerful coffee). Thank you in advance for your consideration. The purpose of this hike is to explain to our residents Loretanos the performance of our desert watershed. Fun stuff! according to Mexican environmental law. ​Alex Vandenham prior to its restoration. Loreto on TV now: "1000 Days of the Planet" on Nat Geo Wild. Program is about Blue Whales in the Atlantic but the pictures are from within the Marine Park of Loreto Parque Nacional Bahía de Loreto aboard Fernando Arcas' vessel. Small world! Hope we will see blue whales soon. ​As per your request, I will be doing hikes again. The 1st hike (before many of you leave) will be next Friday 16th Nov to go see the Proposed Parque Natural Nopolo and Rancho Tiombo. Both are 10 kms away on a dirt road right next to the propane station. Many exciting things have happened with the Park initiative (an upcoming creation) and with Ricardo Salome Fuerte Dominguez who owns Tiombo and directs a collective of 10 goat ranchers. We will meet south exit of Nopolo (BY THE GOLF COURSE) at 6.30am, do a small hike of 2 miles, then off to Rancho Tiombo to see how the avocados, guavas, and delicious citrus trees are doing. We will enjoy some coffee, goat cheese and fruit. You can also buy small trees or fruit directly from Ricardo (he has tangelos!). His oranges are well known to produce lots of good juice. Just ask Peter Boddy. Type trail is majority flat walking. If you don't want to go up hill on Rancho Tiombo you can stay in the bottom terrance under the mango trees.There are three terraces overlooking the sea. We are allowed to enter the ranch for free and you can leave a donation to the rancher (any amount is aceptable) that will go into fixing the road and the many expenses the ranch has. Cash only, usually limited change for purchase of goods. The road is doable for any compact car, preferably high clearance from ground to car (but not necessarily), no 4x4 car needed. We car pool, no charge for hike, just to have fun and learn about flora, fauna, medicinal plants, Nopolo park work, trails, and jesuit missionary techniques used in agriculture for ranches. I have 2 cars - if you want to ride with, please tell me. We are back by 9am. I know 6.30am departure is early. The desert is best seen alive in the morning. Hope to see you! Best to confirm your assistance via private message, or by cell 612 153 3752 or by email Cecilia_fischer@yahoo.com.mx Please do not overuse this publication. Saludos and blessing to all. The details to support the heavy metals testing for Parque Nacional Bahía de Loreto are finally done and now I have time to publish the hiking schedule. Im so sorry I did not share this before. 7. Monday 19th Feb - Cycling from Nopolo to Loreto and back. Depart El Corazon Cafe at 8am back at 11am at the latest. There is a route via the beach to down town Loreto -goes behind the airport. Folks have done route with street bikes, cruisers, hybrids and mountain bikes. We take 2 cars for support with additional water and radios. We may use 1 km of the highway with police presence. In the past we have done 1.5hrs roundtrip going moderate pace (or you can just jump inside 1 of cars with your bike) We also want to show you 1 km of a route we would like to create together by taking out exotic and invasive buffell grass (comes from Africa). Janet Grachal ,Manny Davis and myself are working on what that would like now. Folks who have gone on this route before with myself and Erik are Susan Suggs, Glenn H. Procter Ash, Eve Giovenco, Lief, Mr. Levine. Our purpose is to have Nopolo-Loreto connected through a small cycling route without interrupting the 3 estuaries and sand dunes located next to coastline. 9. Wed 21st Feb - Environmental meeting: Updates on Keep Loreto Magical - Program of The Ocean Foundation - place and time to be announced. Meeting will only be 30min. Short and sweet. As always, I am thrilled to see so many of us interested in hiking. 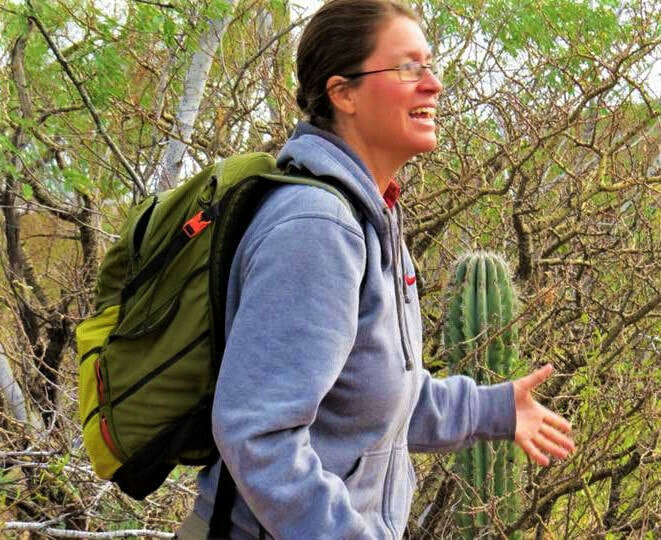 If you look back 15 years ago in Loreto, we didn't see advocacy for hiking. We mostly did visits to San Javier/Tabor as a collective. Our choice to be surrounded by a healthy nature (hopefully treading softly) does put the importance of biodiversity and a planet with abundance. Please do confirm you are interested in coming on a hike by emailing: Cecilia_fischer@yahoo.com.mx or cell 612 153 3752. Please don't overuse this publication so I don't get in trouble with admin. - thank you In advance! Also, I can't comment much on this publication - so my replies will be by private message or email. Here is a new video by Erik, celebrating the Sierra La Giganta-hopefully the view from your window too :) Buenos dias! All these projects are possible via Keep Loreto Magical - a program of The Ocean Foundation - Mark Spalding its president. We have an upcoming fundraiser 20th March 2018 at FN 100 in Loreto Bay - House of Lorene Archdekin - tickets with Anne Fletcher. Today is the next to the last activity of the 9 options posted to learn about our local flora, fauna and our bi-cultural habitat. Description: Tuesday 20th Feb - 8am Meet at south exit of Nopolo to do walk around Loreto Bay and Nopolo to learn about the ecosystem of the area (used to be all an estuary), and the medicinal and harmful plants found in our own backyard. Done by 10am. The two arroyos, water ways in Agua Viva and Gulf Course, protected estuary as per Parque Nacional Bahía de Loreto regulations, and 2 watersheds that surround Nopolo (in Guaycura tongue means "low land") have created a unique environment. Come learn about it! Did you know you could make tea from bugambilia? Palo de Arco? How about eating certain seeds? Can the sap of certain plants burn skin? What are the benefits of the sand dune by beach? We will walk and use car to go to ramp area of Nopolo - we can car pool. All flat walking - all welcomed. Hello everyone! Apparently no one saw the posting of Eric's delicious Community Supported Agriculture recipe served last Friday for free (and he is very upset that Im just sharing it - oops - no one say anything given he is not on Facebook!) 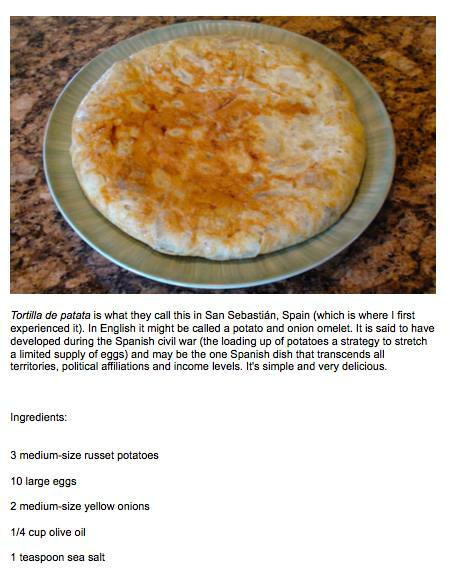 Here is the delicious Torta de Patata - Española style! Hope you enjoy! Makes for great appetizers! If you have the opportunity to take this trip,take it. 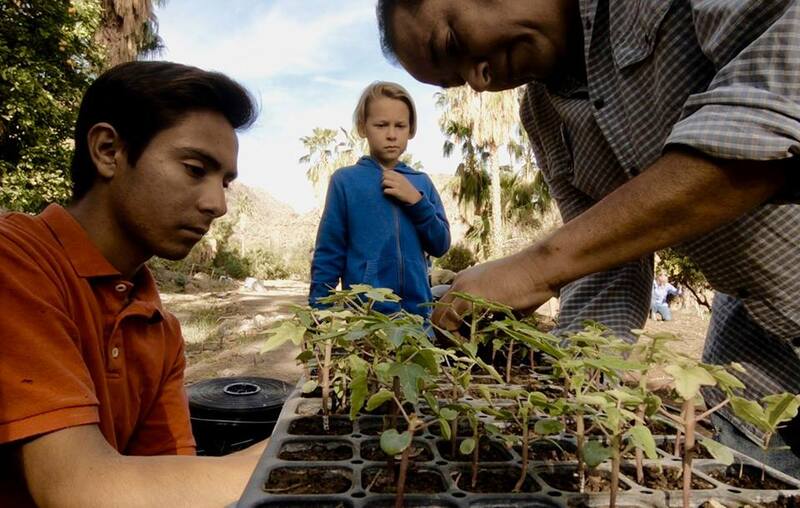 At the suggestion of Shirley Tuinenga and others, I thought you all would find some of this info useful: What food is being provided by local farmers and local ranchers (organic efforts vs with pesticides) 1.James and Marilyn Sue Monroe-Needham I believe come to Loreto Bay on Wed and on Sat to Organic Plaza in downtown Loreto. I know veggies season has been weird for most farmers so I don't know the amount they actually have. Hopefully Mai will see this post and reply - they live in San Javier region and have limited internet. 2.The Community Supported Agriculture CSA (clean, fresh and no pesticides) started Dec 15th 2017 and end May 11 2018 (24 weeks and we are in the 4th week). Jorge Magdaleno, the main provider does have extras now (the 1st 2 weeks he didn't). It all depends how the weather is doing. It now feels like summer and I was hoping we would see carrots and bell peppers - don't know... Currently 70% of CSA veggies are local and the rest is from 1 farm that is organic certified. For more info contact Eve Giovenco 3. The farmers in San Javier will soon be coming down to Loreto with their produce - don't know with what produce yet - usually they go on Saturday to down town plaza by the bank. Saw green beens and beets growing 3 weeks ago behind San Javier. These farmers may be using pesticides. 4.The Sunday Market is mostly paying the middle man not the farmer. This market was born out of necessity for better prices and more diversity in veggies (that was before Walmart and Ley came into Loreto). There are 2 to 4 small farmers there that are well worth the visit. One large provider claims to bring some produce from organic farm, i.e. he sells beautiful red bell peppers (they are only $35pesos/kilo and its hard to believe that price is organic and they taste absolutely delicious) 5. The Saturday Organic Market in down town plaza by the bank does its best to have organic veggies, but only 1 or 2 providers at this time (until more folks from San Javier come). Francisca Fuerte from Rancho San Felipe is doing some interesting things with her Nonni plants - I would stay tuned to her next steps. She is the sister of Ricardo Salome Fuerte Dominguez Salome. Her cheese is low in salt and she provides different dairy items through out the year. Right now most of her goats are nursing kids and yeaning so limited supply of most dairy products. 6. Ricardo Salome Fuerte Dominguez from Rancho Tiombo is providing good quality organic oranges, very juicy and fresh cut. He is coming to the end of the season of citrus but he will soon have other things. So stay tuned. 7. Enrique Grajeda is now providing non-caged, grain fed local chicken. He takes orders by Facebook and is coming to the CSA on Friday at Pepe Gina Carrillo and to Sat market at plaza - right on! 8. I learned recently that Alma Tripui is starting or has already some sort of Tianguis in Tripui? Sounds exciting! I don't promote the fish truck purchase because I believe the management of the fish destroys the flavor (thats just my opinion though) and as for the shrimp and lobster both are ilegal to catch inside the Marine Park of Loreto Parque Nacional Bahía de Loreto so they had to bring it from the Pacific side and current the pacific coast of BCS has bann on these products. More info -hopefully - on how we as consumers can get better options will soon be available. I think the more local food we have, the better for all the community. Hopefully with good practices for the earth is the way to go! Thank you for caring and asking! Hope that helps. Please lets not overuse this publication so I don't get into trouble. If you have a question for me or those names just private message them please.